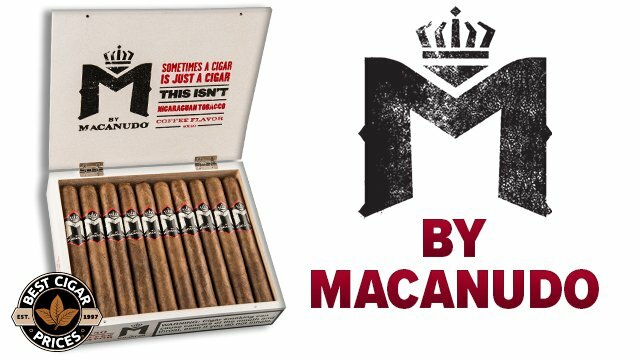 Origin: General Cigar, Santiago, D.R. 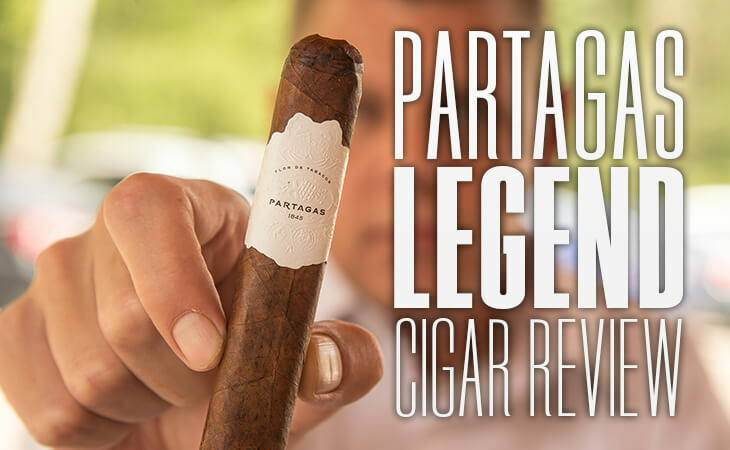 Having made its official debut at the IPCPR 2018 cigar trade show in Las Vegas last month, the Partagas Legend is the latest entry for this 173-year old famous frontmark. 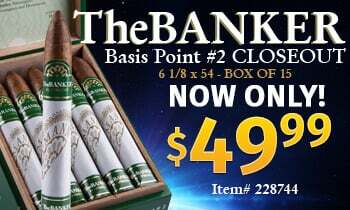 At $11-$14/stick MSRP, it is also now the priciest of the Partagas portfolio, surpassing my favorite, the Heritage, by a couple of bucks. Today I set out to see if it would eclipse my preferred Partagas in terms of taste as well. 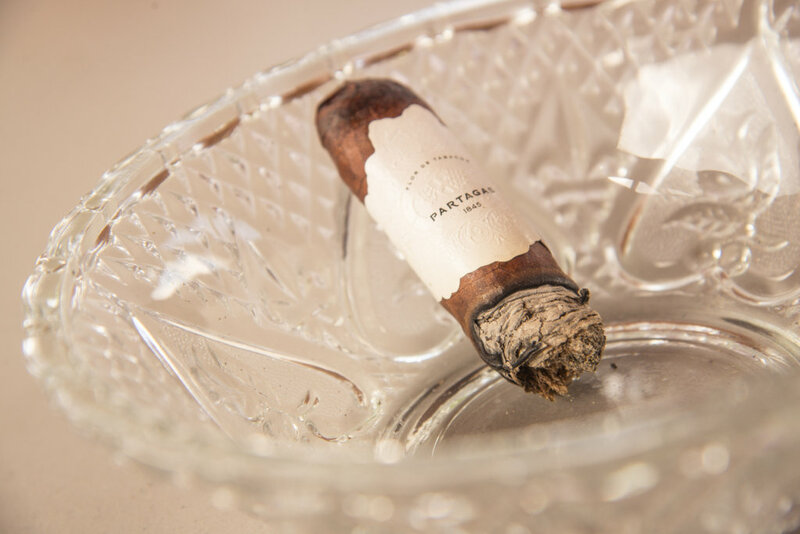 Packed in clean white boxes sporting the spiffy new Partagas logo, the Legend comes adorned in simple, elegant white bands that lend it a “special occasion smoke” look and feel. I decided that this balmy Wednesday afternoon was special enough for me, and pre-light draws greeted me with a dollop of creamy leather tinged with subtle milk chocolate. 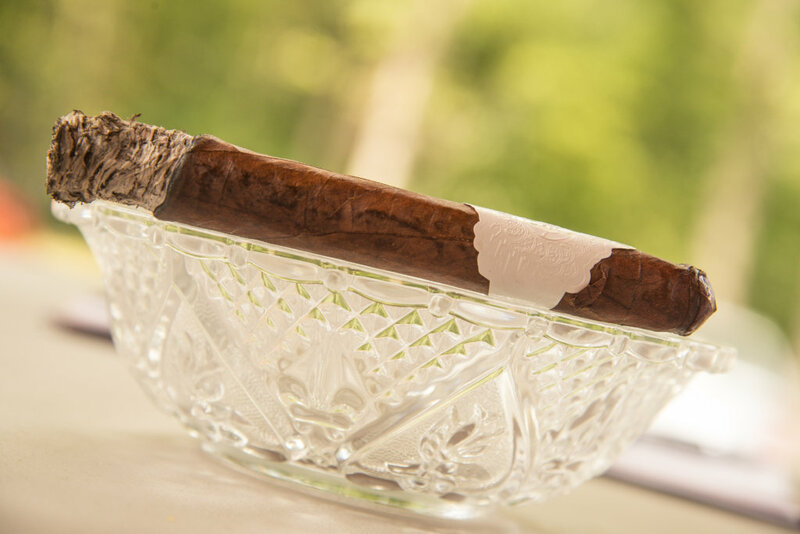 Sure enough, the first third of the Legend was all about the smooooth leather with a formidable white pepper finish. Some sneaky cedar began to creep in at the one-inch mark, rounding out the initial profile nicely. 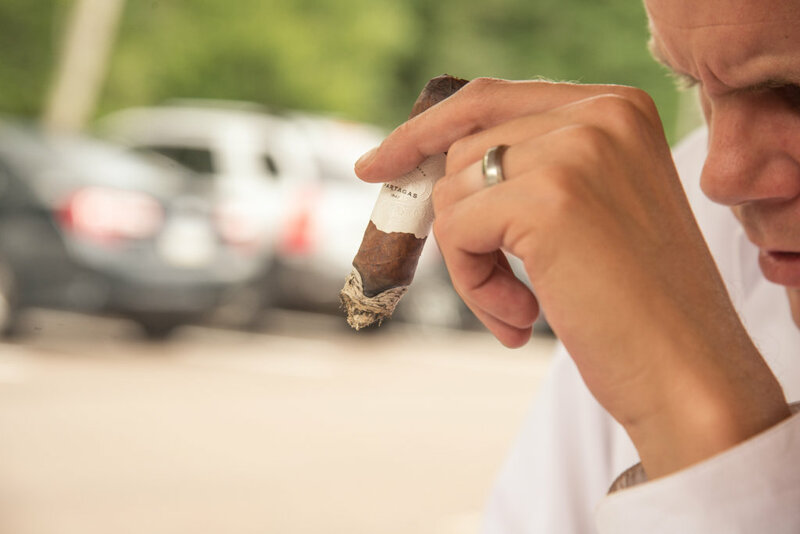 Despite the full flavor that was steadily building and spice that seemed to intensify with each puff, the smoke was extremely “clean” on my palate, leaving almost no trace of aftertaste. Points awarded. 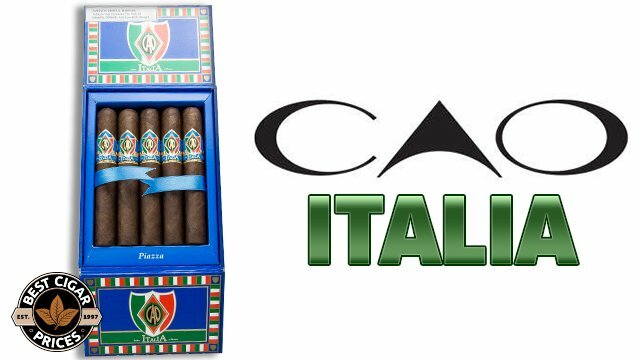 The prevalent leather and secondary cedar tones were joined by a new note of cream in the second third as the finish gradually transitioned from “spicy” to “sweet.” A rich coffee note emerged here, followed by an awesome toffee-like sweetness, and suddenly this smoke was climbing the charts, flavor-wise. A quick exhale through the sinuses let me know that the spice component was still alive and kicking as well. I realized I had already been smoking for over an hour when I finally reached the final third of this extremely well-packed and slow-burning cigar. More points. I was now picking up deep woodiness, a new note that reminded me of rye bread, and hints of sweetness peeking out here and there. Though still plenty creamy, this portion was a bit more robust, especially when a nutmeg-like spice joined the ensemble. 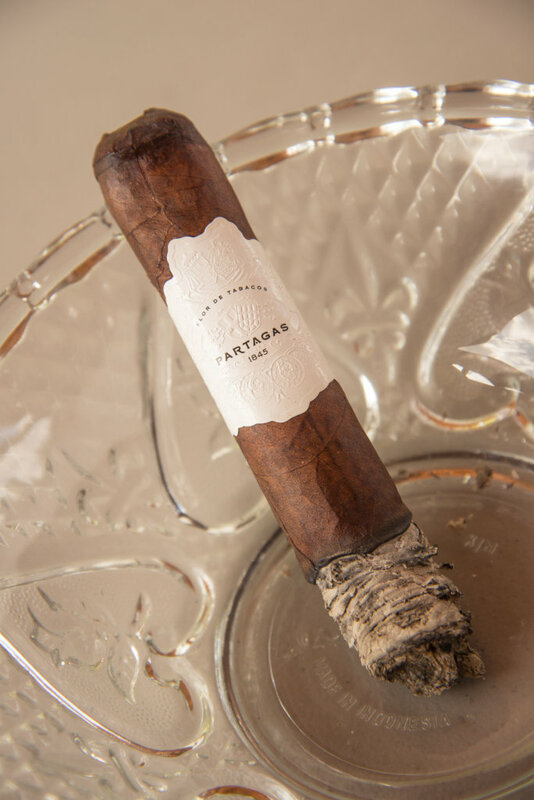 This spiciness, along with a big rich tobacco taste, eventually came to dominate the profile until it was time for this particular Partagas and I to part. 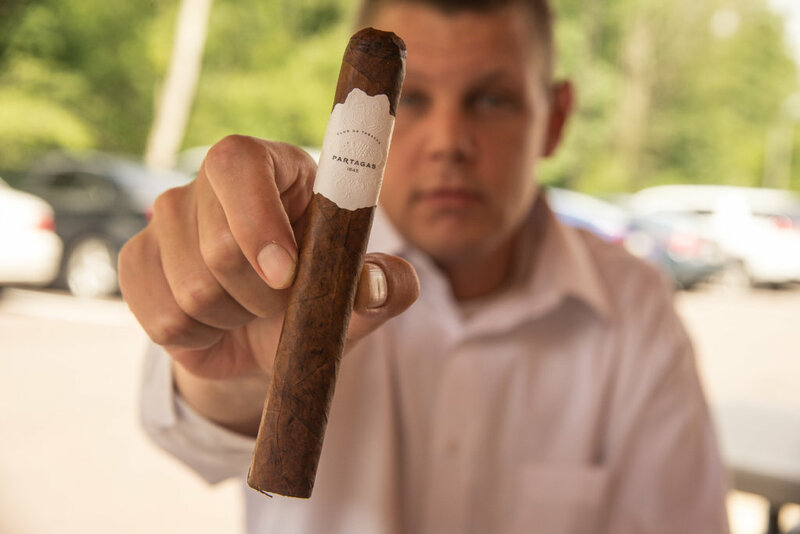 You’re setting the bar pretty high when you name your cigar “Legend.” Fortunately for our friends at General Cigar, it seems that this blend just may have the stuff that legends are made of. 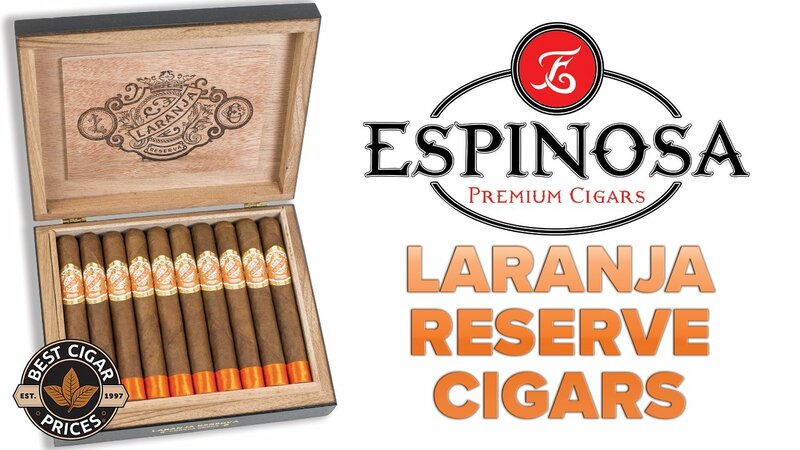 For starters, as I noted earlier, it’s a serious slow burner which tends to make for a memorable smoke. Next, it is without a doubt full-bodied as promised, even for a grizzled nicotine vet like myself. Seriously, the strength of this smoke is enough to make Cigar Sherpa Jeff Brown himself woozy, and that’s no easy feat (just this morning I watched him take down the Exactus 11×90 like it was a robusto.) And lastly, its loaded with eventful and complex flavors that I believe will deepen even further with some aging. In layman’s terms, the Partagas Legend is long, strong, and down to get your tastin’ on. 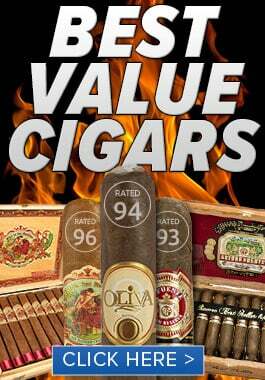 It may be at the top of the Partagas heap price-wise, but I can attest that it’s worth every penny. This two-fisted top-shelfer is in stock now and ready to ship @ BCP.